Have performed operation, cut off 2/3 of the stomach. What are the herbs in this case, after the operation is to have a drink? Stomach cancer. • Oregano: brew a tablespoon of oregano cup of boiling water, leave for 40-45 minutes, strain and take on a third cup for 15-20 minutes before meals three times a day. Let me remind you that all the herbs that improve the work of the stomach, should be taken before meals. • It also improves stomach function Air marsh. A teaspoon of Calamus pour a glass of boiling water, let it brew and take on third of the cup 3 times a day. • Grass plantain regulates gastric hyperacidity, helps produce gastric enzyme pepsin and thus improves digestion. • If these herbs are not enough, your doctor may prescribe you a prescription for a 1% solution of hydrochloric acid and pepsin (the so-called «hodgepodge with pepsin»). In addition, to help digest food in all sour foods: cranberry juice, cranberries, lemon and other citrus fruits. • Plays an important role proper nutrition. We need food that is easily digested: soups, porridge, pureed vegetables. Roughage (cabbage, cucumbers, meat) should be avoided. Include nutrition improves digestion spices: mustard, horseradish, pepper, ginger. Mustard or horseradish can be spread on bread, pepper added to food, ginger — to meals and tea. Give preference to vegetable food, as it contains enzymes that help improve digestion. After surgery to remove the tumor is necessary for a long time to suppress the primary sources of the disease, ie the reasons why cancer could occur. In this connection, it is sure to dolechivatsya herbs. For at least 5 years following surgery (or may life) should take herbs with antitumor activity. I shall mention herbs that have anti-tumor cytostatic effect: it ferrule (asafoetida), hemlock, Siberian knyazhik, aconite, Alokaziya, Colchicum speciosum, norichnik, stonecrop (juice). This virulent poisonous plants, which take courses, adhering strictly to the recommended dosage. Alternate anticancer herbs, taking a course of one or the other vegetative means. — In the morning on an empty stomach, one hour before breakfast. • Alokaziya take along the same lines as the hemlock — the same slide. From knyazhika Siberian best to prepare a 10% tincture, which take 10 drops 3 times a day before meals. • In spring and summer, when the foliage will no longer necessarily apply poisonous weeds. Instead, you can hold on until the autumn eating herbs: plantain leaves, goutweed, chickweed (woodlice), dill, parsley, watercress and other types of lettuce that you grow in the garden. • Well connected to the treatment of celandine juice: take it to 20 drops 1-2 times a day. You can use an infusion of celandine: tablespoon celandine herbs brew a cup of boiling water, leave for 40-45 minutes, strain. Take a tablespoon of the infusion 3 times a day. • Peony possesses anticancer and calming effect (and stress after operation still remains) so peony drugs will come in handy, especially good to take them at night. • Birch mushroom Chaga has a beneficial effect on the gastrointestinal tract, digestion and has an antitumor effect. Chaga can not be boiled, and should only be poured boiling water and infuse. For ease of preparation must be a small piece of fungus pour boiling water, cool. Take possible without special rules before eating. Traditional medicine offers the recipe for the treatment of gastric cancer on the basis of the fungus: take 200 g of ground fungus, 100 grams of yarrow, 100 g of pine buds 100 g hips and 5 g of wormwood, stir, pour 3 liters of cold water, to insist 2 hours, then put on low heat and simmer for another 2 hours, then to insist night, drain, add to broth 200 ml aloe juice, 250 ml of cognac and 500 g of honey, stir, to insist for 4 hours. Take the first 6 days — on a teaspoon 3 times a day on an empty stomach, in the following days — a tablespoon 3 times a day on an empty stomach, until the end of the entire mixture. • After surgery, also need to strengthen the immune system and the nervous system with the help of herbs. These tonic plants include, for example, orchids and nard. 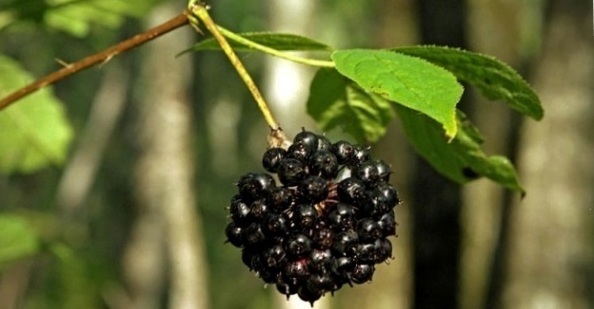 If the patient feels after the operation breakdown, it is advisable to drink three-week course in small-herbal adaptogens: Aralia, Rhaponticum, Eleutherococcus.